HDTV Supplys WolfPack Rack Mount 4x4 HDMI Matrix Switch allow 256 viewing combinations from 4 HDMI sources to 4 widescreens. Because it is a matrix switcher, it allows any input to be routed to any output; or the same input to be routed to all outputs, or any combination. The 4x4 HDMI Matrix Switcher has four HDMI inputs and four HDMI outputs ports. The WolfPack 4x4 HDMI Matrix connects four HDMI sources to four displays. 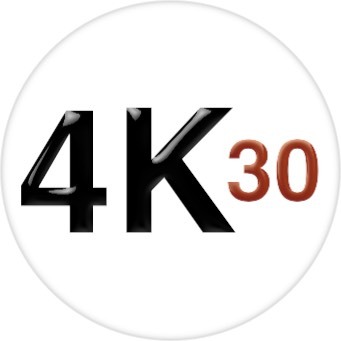 It works with Blu-Ray players, Set-Top boxes, Home Theater PCs, and game consoles that connect to an HDMI display. Any source is accessible at all times by any display by selecting it via the supplied IR Remote Control, RS-232, TCP/IP or by using the selection buttons on the front panel. This 4x4 HDMI Matrix Switcher supports High Definition Audio. The switcher features a front panel number display for easy status monitoring plus an included remote control. Designed to provide maximum functionality is a small space, the WolfPack 4x4 HDMI Matrix Switch can be used as a standalone device or 19" rack-mounted using the included rack ear-mounts. 4 HDMI input and 4 HDMI outputs. Why not buy our Rack Mount WolfPack 4x4 HDMI Matrix Switch today? Why not buy this Rack Mount WolfPack 4x4 HDMI Matrix Switch today? A: The IR repeater works well with 38 Khz single band remotes but may not work with multi-band remotes used on a few satellite boxes. Look for 2 emitters on the nose of the remote. If you are pre-wiring make sure to run a 3rd cat5 cable so you can add an IR system that can handle multi-band remotes. If you have multi-band remotes you might want to upgrade your remotes to UHF, which goes through walls. This will bypass the IR system completely on the matrix. 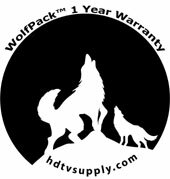 HDTV Supply includes a 1 Year Limited U.S. Warrantitcher 1-Year Warranty"itcher 1-Year Warranty"itcher 1-Year Warranty"WolfPack 4x4 HDMI Matrix Switch. 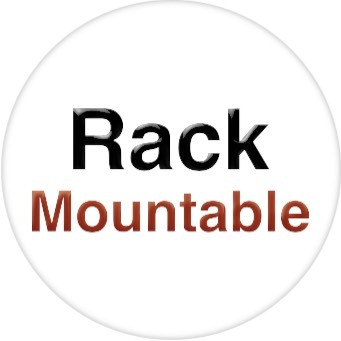 The U.S. warranty states that (a) its products will perform substantially in accordance with the accompanying written materials for a period of 1 year from the date of receipt and (b) that the Rack Mount WolfPack 4x4 HDMI Matrix Switch will be free from defects in materials & workmanship under normal use & service for a period of 1 year. In order to get a warranty replacement for a defective item, HDTV Supplys Support Team will verify the product is eligible for warranty. An RMA number will then be issued. Shipped replacements will be in like new conditions, tested and all components included. A 30-day RETURN also comes with this warranty as well as Free Lifetime Tech Support. HDTV Supply also sells a 3 and 5 Year Extended U.S. Warranty for this 44x4 HDMI Matrix Switcher & CAT5 Outs. Please go to Extended Warranties or see the above Options to purchase it. Why not buy this Rack Mount 4x4 HDMI Matrix Switch today? HDTV Supply created our Rack Mount 4x4 HDMI Matrix Switch line of WolfPack line of products which are born from a hungry, circling pack of high performance video and audio HDMI that surround our competition to devour them. The WolfPack Rack Mount 4x4 HDMI Matrix Switch is sleek, unique & swift & even the smallest configuration wolf can adapt himself to many hostile environments. You can only get this one-of-a-kind WolfPack Rack Mount 4x4 HDMI Matrix Switch from HDTV Supply.